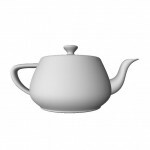 The Utah Teapot was originally created by Martin Newell, back in 1975. 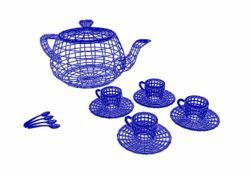 It is based on a real teapot, and it was digitised by hand. It became extremely popular because, at the time, there were very few available models. The teapot is a complex model from a mathematical point of view, with both concave and convex local surfaces, saddle points, various degrees of curvature, and almost as important, it is a highly recognisable object. 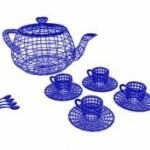 Newell actually built a full tea set, but the teapot was the most used model. 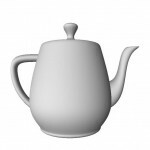 When James Blinn started working with the teapot his monitor had non square pixels, hence he saw a much taller teapot than Newell’s original design. 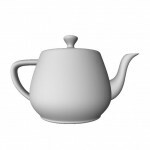 To compensate for the non square pixels Blinn decided to scale down the teapot data by a factor of 1.3 on the Y axis. It happens that Blinn was the main contributor for spreading the data, so the teapot we have today is a scaled down version of Newell’s original. 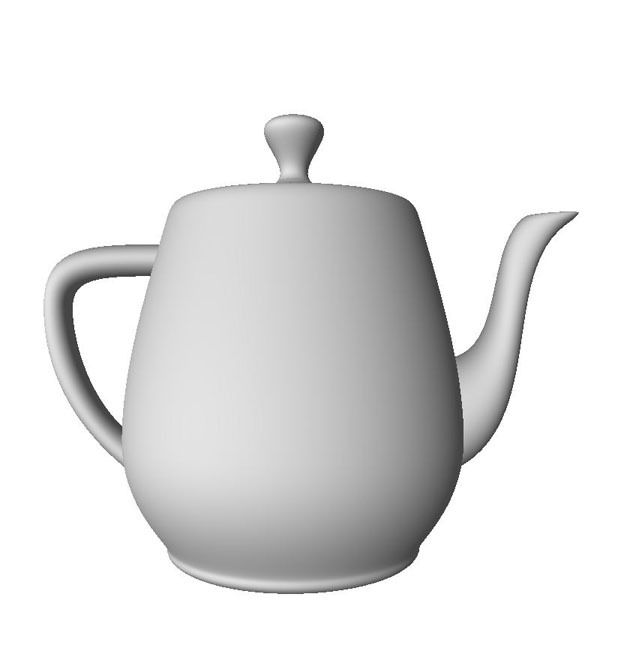 The figures below show, from left to right, the original teapot, the teapot as Blinn first saw it with non square pixels, and the actual teapot (a scaled down version of the original to compensate for the non square pixels). More details about the history of this CG icon, including the original data set, can be found in here.